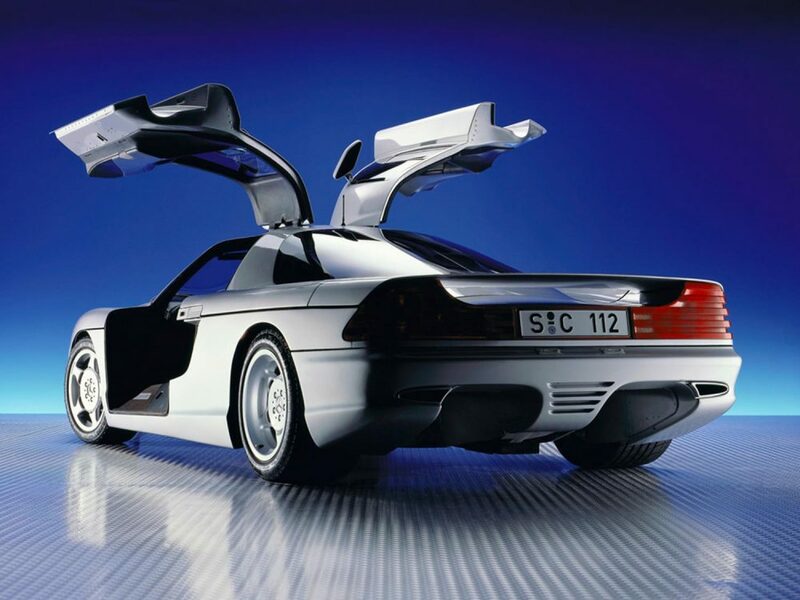 Mercedes-Benz’s return to motor-racing in the late 1980s proved to be very successful, very quickly. 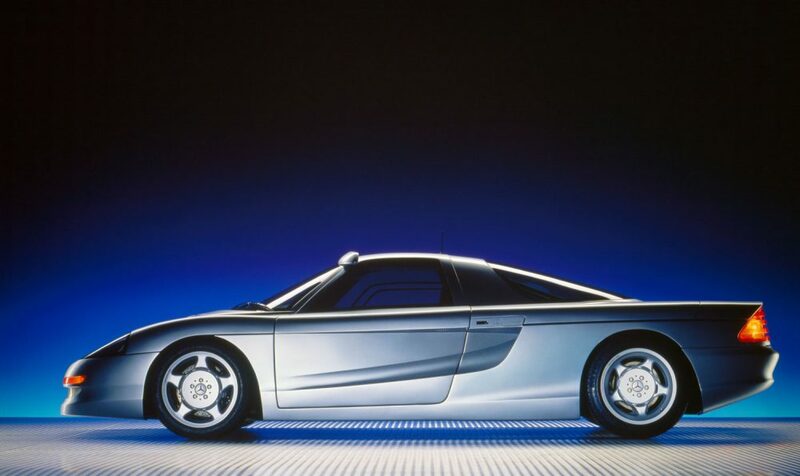 By the turn of the decade, the collaboration with Sauber had yielded many successes, including the World Sportscar Championship in 1990 with the C11 sports prototype. Encouraged by its on-track exploits, the engineers at Stuttgart set out to construct a road-legal counterpart to the C11. 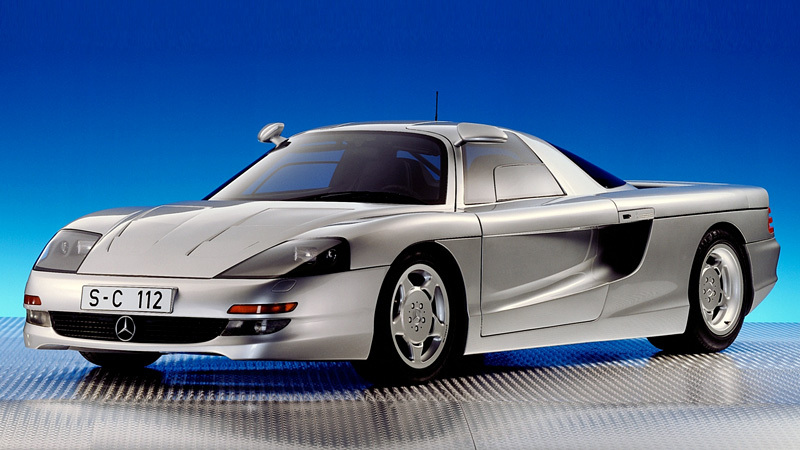 The result, which was unveiled at the 1991 Frankfurt International Motor Show, was the C112. 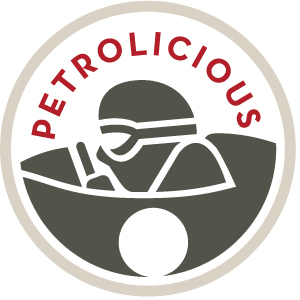 At its heart was a 6.0-liter V12, producing 408 horsepower and 427 ft-lbs of torque. 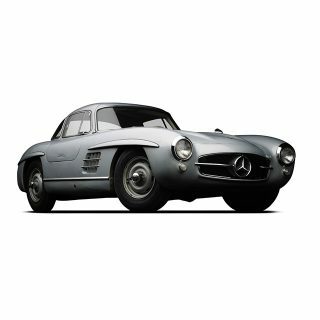 However, in typical Mercedes-Benz fashion, the car boasted several trick driver aids and safety systems. The newest and most important of these was ABC, or Active Body Control. 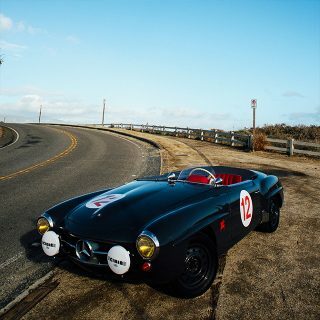 Using a sophisticated electromechanical control system, it provided active suspension, which in combination with active rear-wheel steering ensured optimum handling under all conditions. ABC was supported by the latest iterations of ABS (Anti-Lock Braking System) and ASR (Acceleration Skid Control). Another important innovation on the car was an active rear wing that altered its orientation to provide the best aerodynamics at different speeds, and the wing also doubled as a braking device. 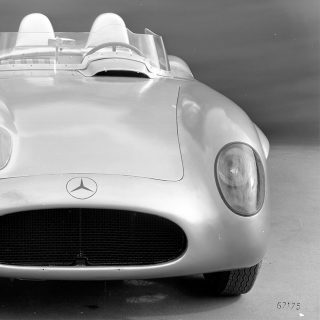 Such devices are now common features on many high performance cars, and it’s interesting how far ahead of the curve Mercedes-Benz engineers had been thinking. The car also packed other bits of technology, including Electronic Brake power Distribution (EBD), an electronic Tire Pressure Monitoring System (TPMS) and a distance radar for intelligent cruise control. 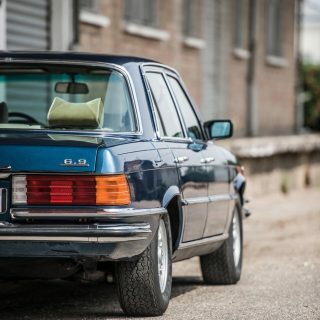 All of these—more than 20 years on—are now standard or available as options on many production Mercedes-Benz vehicles. 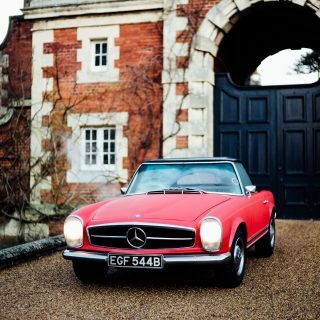 The C112’s most obvious claim to fame, though, was that it was the first three-pointed star to sport gullwing doors since they were pioneered on the 300SL in 1954. However, despite nearly 700 firm orders, the C112 remained only a test bench for active handling systems and was never put into production. 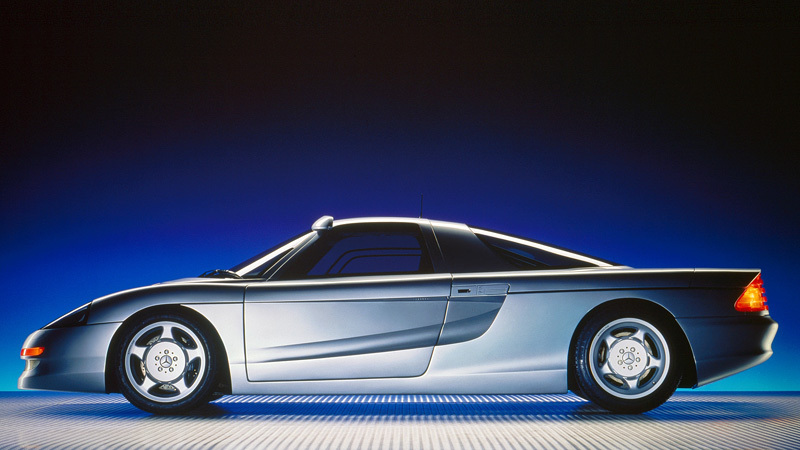 The inspiration from the NSX is absolutely clear, but looking closer I see some XJ220 and the front end has some heavy McLaren F1 influence as well. Can’t remember exactly in what order each debuted, but the three all shared some styling ideas. 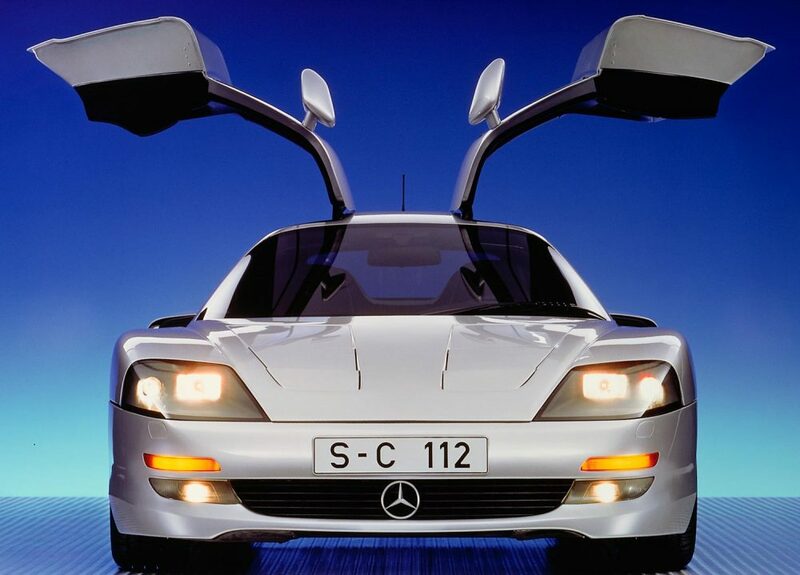 What about the C 111 in the 70’s, it had gullwing doors…..
It’s no NSX. It’s bigger, less sculpted. It’s basically the C11 with street bumpers and an aesthetically pleasing wing on the back. The interior is a bit w124. If you can find the copy of Australian WHEELS magazine, probably from late ’91, it has an artist’s rendition of what the C112 might have looked like, a bit Peugeot Quasar looking. Very beautiful. I was fortunate to visit the museum last year during an Octerfest visit. What an incredable experience….on both fronts. Make sure you give yourseld lots of time to take in all the exhibits. 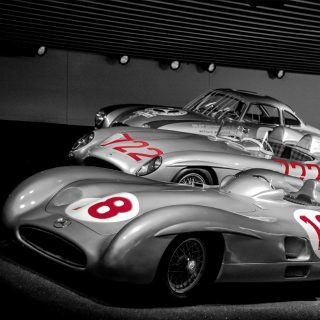 The history that is on display is remarkable, the design of every car is truly timeless. Here are a few favs…. It looks more like Warren Mosler’s Consulier than anything else I have seen. It is later by about three years too! I was thinking the exact same thing! The side profile towards the rear is what reminded me of that car. It’s a nice looking car but it looks like a copy of the NSX.